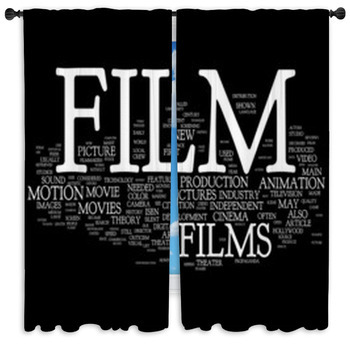 If you have a budding celebrity in your home, decorate his or her bedroom with our cool Hollywood-themed wall curtains. 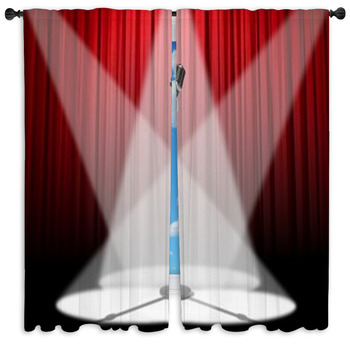 These drapes feature all the trappings of a stars life and will make your young actor or musician feel like a star! 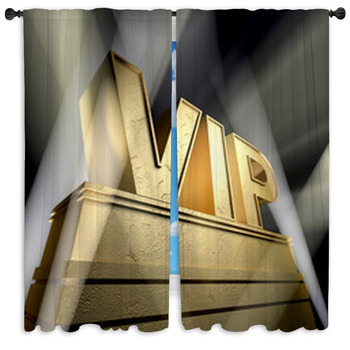 Hung with your valance or on their own, they create an artistic element in any room. 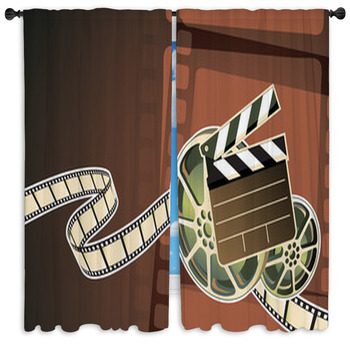 Create some inspiration with walk of fame stars and red carpet window curtains. The star in granite can be personalized, or let your leading lady imagine what it will be like walk down the red carpet with all those camera clicking. 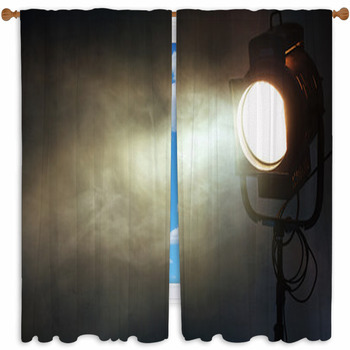 The Hollywood movie motif is also a great choice for window curtains. 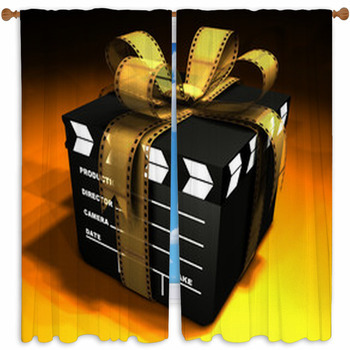 Choose from reels of 8 mm magic, or clapboards marking a scene in a wide selection of styles and colors. 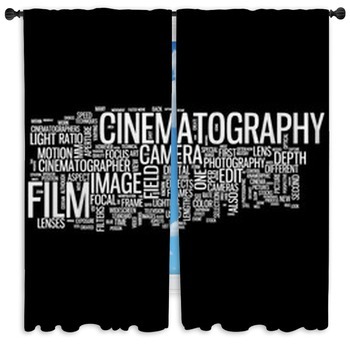 You'll find a variety of cameras and klieg lights in everything from grays and blacks to bright colors. Go with old Hollywood style for a vintage look or a style that represents today. 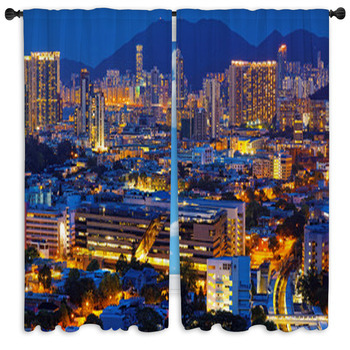 Some of Hollywood's iconic haunts also make unique and gorgeous window curtains. 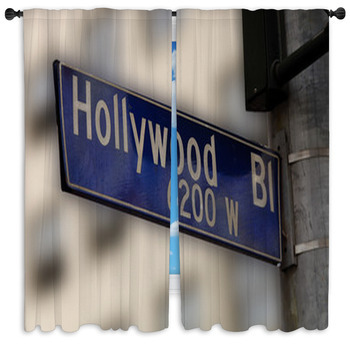 Choose from the famous Hollywood sign, a dazzle Los Angeles nighttime skyline or street signs featuring Hollywood Boulevard, Rodeo Drive, the bright green palm trees that line the streets, and more. 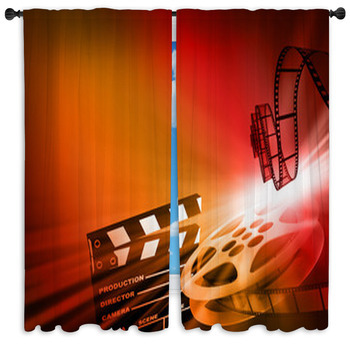 After you choose the perfect Hollywood curtains, you can outfit the rest of his room with coordinating accessories. 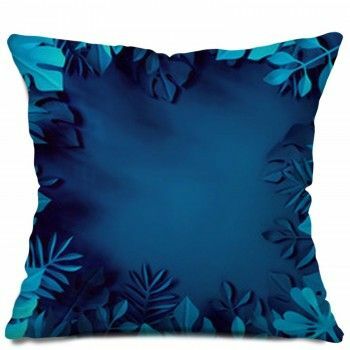 Choose from matching bedding, wall art, pillows, wall murals, rugs, bath decor, and more! 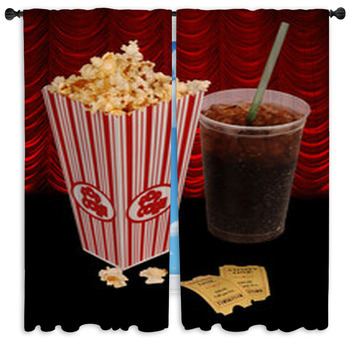 With Hollywood-themed designs you can create that living large look that your teen loves.